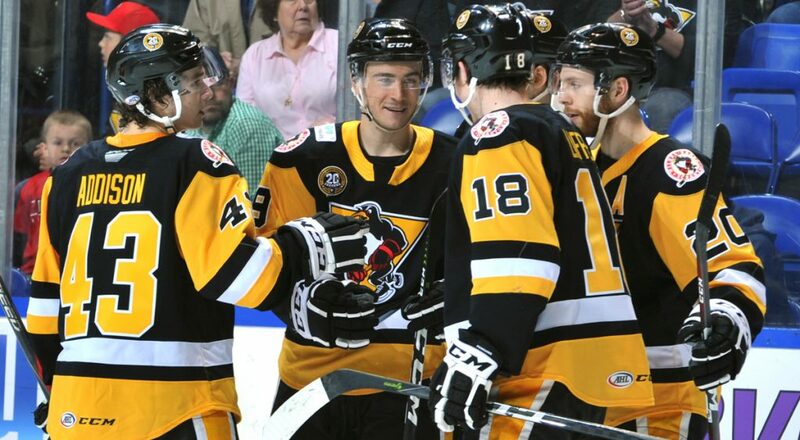 WILKES-BARRE, Pa. – The Wilkes-Barre/Scranton Penguins dropped a 4-1 decision to the Springfield Thunderbirds on Saturday night at Mohegan Sun Arena at Casey Plaza. 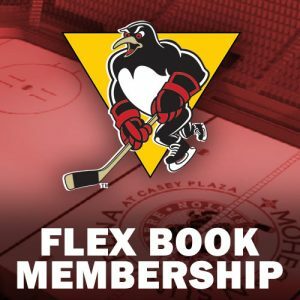 Ryan Haggerty scored the lone goal for Wilkes-Barre/Scranton (33-26-7-3) midway through the contest, but it wasn’t enough to match the three-point output of Springfield rookie Adam Rockwood (1G-2A). Early in the first period, Chase Berger was robbed by Chris Driedger and denied the Penguins’ the game’s first goal. Berger, who was making his AHL debut, was wide open in the slot and roofed a shot to the glove-hand side of Driedger, but the Thunderbirds’ goaltender flashed the leather and kept the game even, 0-0. Vincent Praplan put the Thunderbirds on top with 51.7 seconds left in the first period. Praplan broke into the Penguins’ zone and carried the puck through the crease before depositing it to the back of the net on the backhand. Shortly into the middle frame, a two-on-one rush doubled Springfield’s lead to 2-0 and gave Rockwood his first point of the night. Rockwood received a pass from Anthony Greco and then slid the puck to the top corner where Tristan Jarry could not reach it for his first AHL goal at 1:55 of the second period. Seven minutes later, Haggerty took off from the Penguins’ defensive end and ripped a shot between Driedger and the near-side post, cutting Wilkes-Barre/Scranton’s deficit in half. 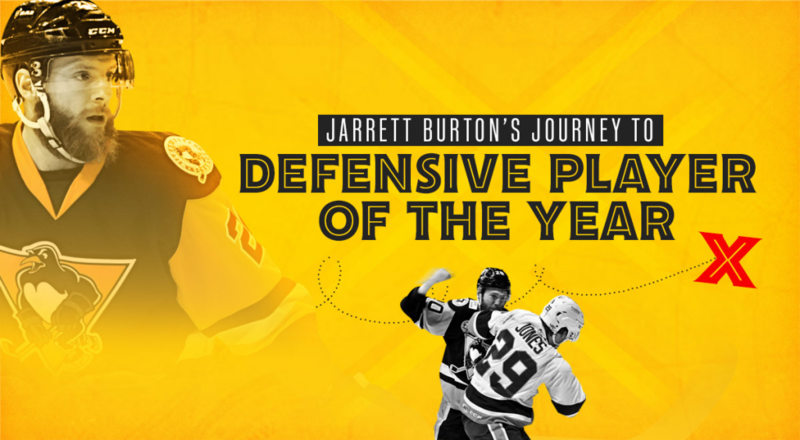 Jarry earned the secondary assist on Haggerty’s 20 goal of the season, extending his stranglehold on the Penguins franchise’s all-time record for career points by a goalie (8). 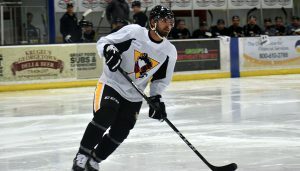 The Thunderbirds assumed a 3-1 lead when Harry Zolniercyk thrust a one-timer into the Penguins’ net during a third period power play. Springfield later got an insurance marker from Alex Breton, who also potted his first career AHL goal. Rockwood registered the primary assist on both of Springfield’s third-period tallies. Jarry finished the night with 26 saves, while Driedger turned aside 34 shots. 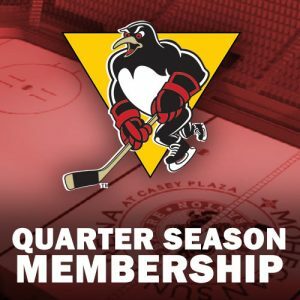 Wilkes-Barre/Scranton’s next game is Tuesday, Apr. 2, a special 10:30 a.m. school day game against the Bridgeport Sound Tigers in Connecticut. 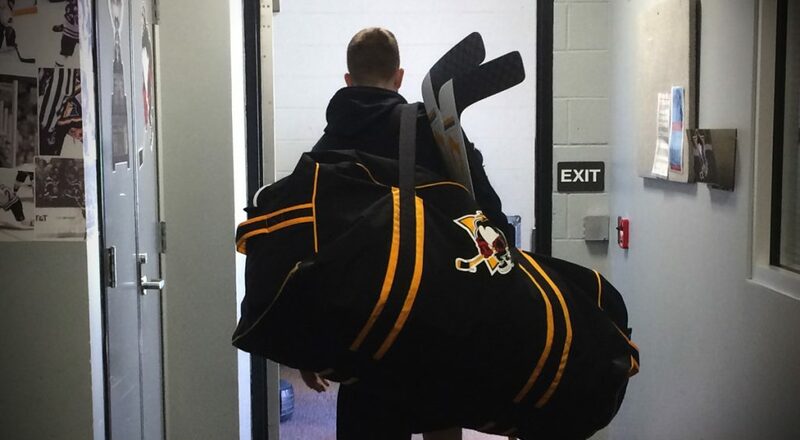 The Penguins’ next home game is Friday, Apr. 5 against the Binghamton Devils. 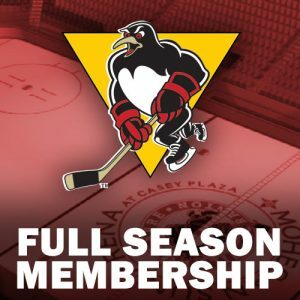 The Devils’ first visit to Mohegan Sun Arena at Casey Plaza this season is also the Penguins’ final Eyewitness News Fan Friday, with lower-bowl seating available for $14 and select draught beers on sale for $2 from 6:00 – 7:30 p.m. Puck drop between the Penguins and Devils is scheduled for 7:05 p.m.